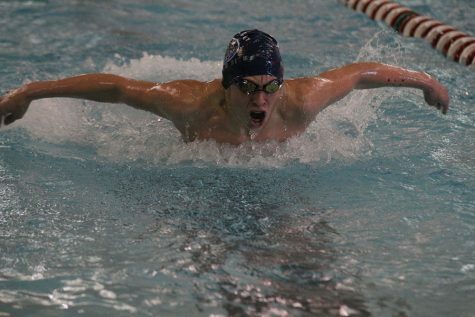 Coming up for air, sophomore Cole McClure l competes in the 200-yard freestyle. 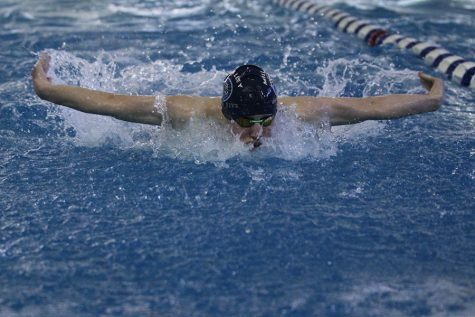 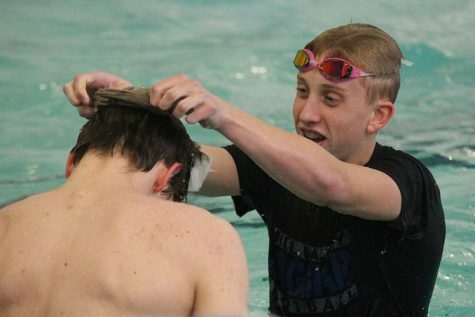 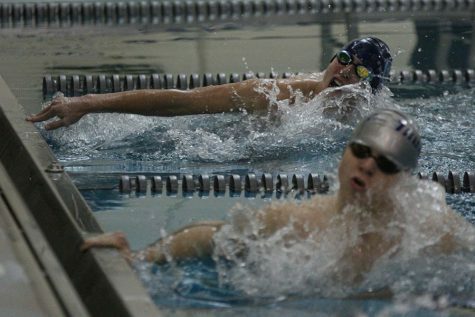 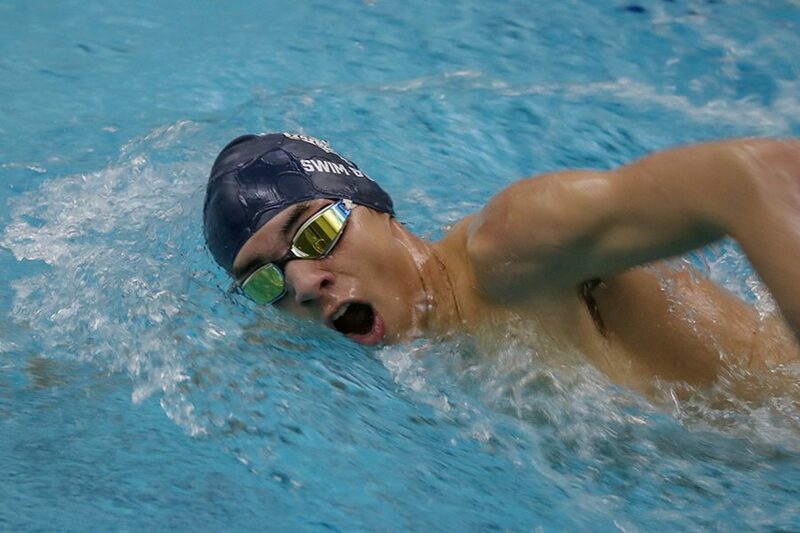 Boys swim finished second at the Olathe South Swim Meet on Wednesday, Jan. 16. 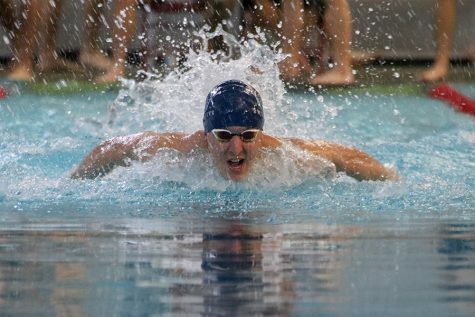 After scoring 484 points through 12 events, the boys swim team finished second place out of six schools at a meet hosted by Olathe South on Wednesday, Jan. 16. 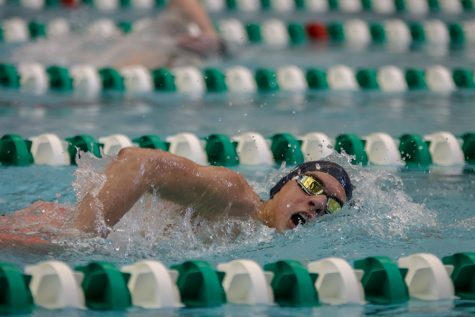 The team won four of the events, including the 200 Yard Medley Relay, the 100 Yard Butterfly, the 200 Yard Freestyle Relay and the 100 Yard Breaststroke. 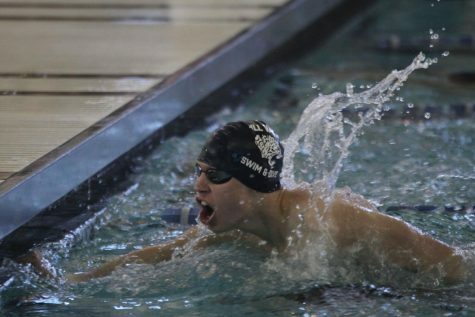 The team was helped by the addition of sophomore Mason Davis, who joined the team a few days before the meet. 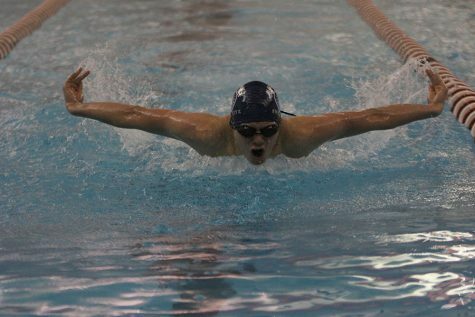 Davis, the first diver the team has had in two years, said diving in that competitive atmosphere was unlike any other experience he has had. 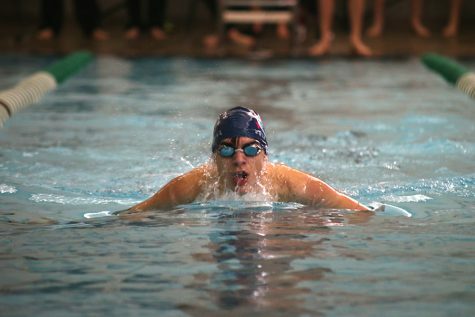 Junior Colby Beggs, after leading the team to victory in the 200 Yard Medley and Freestyle Relay, is satisfied by the team’s success this year. 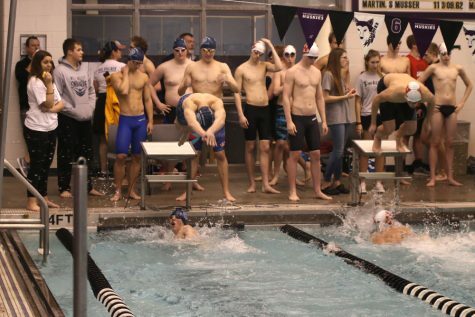 The boys swim team will compete next at the Blue Valley Southwest Invitational on Saturday, Jan. 19, then next week on Tuesday Jan. 22, also at BVSW.